I don’t know many people who refute blueberries. In some form of it – pie, smoothie, shake, tart, muffin, pancake, even beer – everyone finds their way to a blueberry or two. 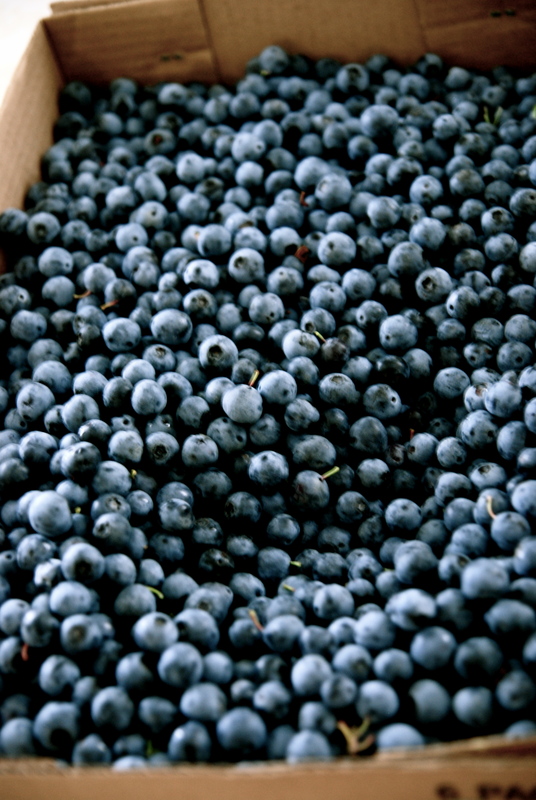 The blueberry is an enormously healthy fruit. Research reports come back glowing about the blueberry: it can help sustain vision, clear out toxins, promote your immunity, keep your memory sharp, aid in both cancer and Alzheimer’s treatment, smooth out your digestive track, and give your brain a happy kick. Blueberries. They sound life-saving, don’t they? There are two blueberries in my life. One source is my deliciously irresistible vegan choco-blueberry smoothie. This smoothie simply makes me happy, is healthy to boot, and starts my mornings off with just enough of a full stomach to feel satisfied and also not too heavy that I feel sluggish. It gives me energy to carry my son up and down the stairs, change his diapers, feed him bottles and food, clean up his messes, watch him crawl, play with him on the couch, write, edit, launder clothes, and do the dishes before noon everyday. The blueberry is my drug. The other blueberry is Nick, my husband. And while I physically do not try to blend Nick in my smoothie or eat him for better health, he’s he kind of partner that is not only life-sustaining, but life-giving. He often clears my head, opens my heart, helps me remember what is important, and tries everything in his power to keep me healthy – mentally and physically. That means he tries to understand the writing, publishing, and blogging world even though he’s never written, published, or blogged one word in his life. It means watering the newly planted grass seed at 10pm at night because I didn’t remember to do so earlier that day. It means laughing with me right before I fall asleep doing impersonations of Stephen Colbert. Being my blueberry means sitting out on the front steps of our house to wait for the Super Harvest Moon and pointing out peach-colored autumn leaves on a feathering tree. The blueberry people of your life are the ones who not only help you recover from whatever has ailed you, but help give you new life, new perspective. In the aftermath of assault, most people try to be there for you and try to understand, but it will only be one ir two people who stay. The one or two who admit they DON’T understand, but understanding is not a prerequisite for being there and listening. Who’s been a blueberry in your life?